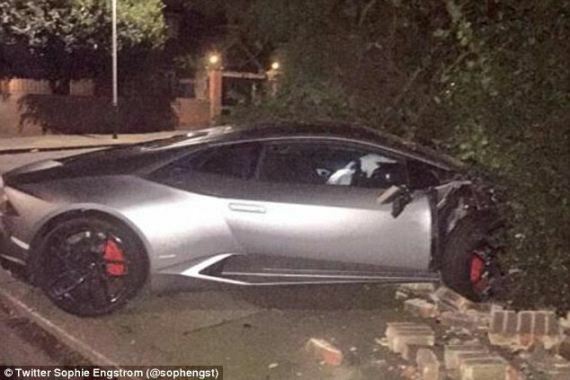 West Ham’s star striker Diafra Sakho last night crashed his Lamborghini car into the wall of a West Ham fan’s house in London. 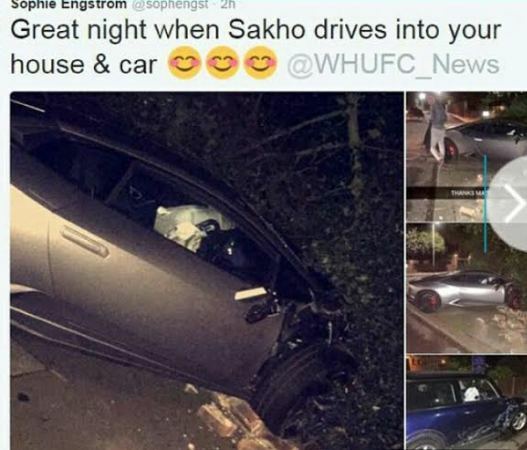 As you would imagine with social media, pictures of Sakho’s expensive crash became a topic of discussion among football fans on Twitter Especially as the wall Sakho drove into was part of a house lived in by a popular West Ham supporter. Sophie Engstrom, a die hard West Ham fan shared pictures of the incident on the social media site, saying that Sakho had driven into her house and car, a three-door hatch Mini Cooper which is valued at £13,995. 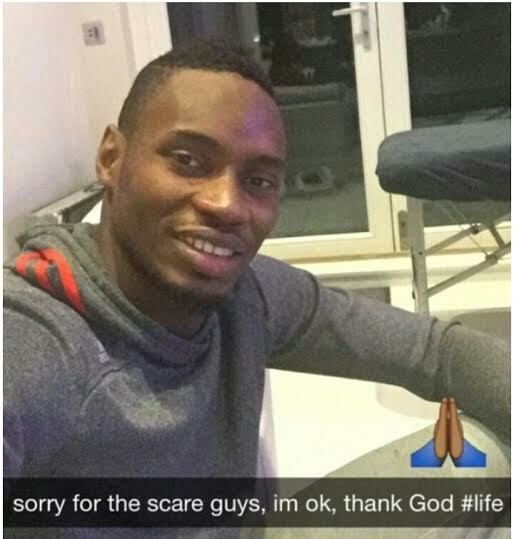 Not long after the accident , Diafra Sakho updated his followers on Twitter to confirm all was okay. The Senegal international has not played since the end of November due to injury and had missed by West Ham’s fans and coach despite West Ham’s fine campaign so far.